One of the reasons people choose us over other services is for the peace of mind of knowing we offer a healthier, safer carpet cleaning experience. We utilize the natural cleaning power of carbonation to release and lift dirt and grime from deep within your carpets so they can be whisked away with our powerful extraction equipment for a clean that lasts. Similar to the way club soda removes stains from a shirt, we’ve evolved and adapted the use of carbonation into a superior carpet and upholstery cleaning process. We use the power of carbonating solutions to lift the dirt, dust and other allergens to the surface where they can be easily removed without using the excessive amounts of water other methods like steam cleaning use. 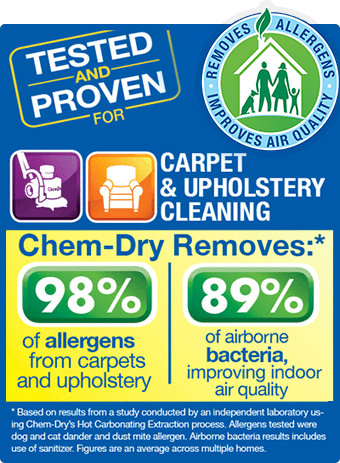 With us, carpets dry faster, reducing the risk of harmful bacteria growing underneath your carpet. Carbonation isn’t just for fizzy drinks anymore. our process uses millions of tiny bubbles to penetrate the carpet fibers, dissolve dirt and stains quickly, and act as tiny propellants that actually lift dirt to the surface for extraction. Because the bubbles do most of the work for us, we do not need to use heavy amounts of water or soapy chemicals that other cleaners rely on to get your carpets clean. When soapy residues are left behind they attract dirt like a magnet, causing your carpet to get dirty again faster and requiring more frequent professional cleanings. Take a look for yourself at how it works in the video below. 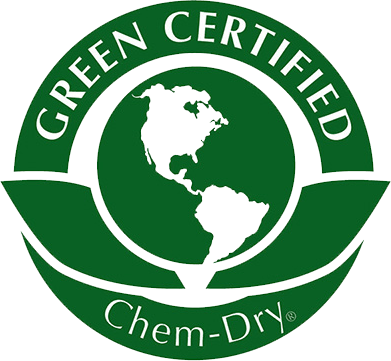 Our revolutionary carpet cleaning process uses carbonation and ingredients copied from Mother Nature for its core carbonating cleaning solution, The Natural. It’s called The Natural not just because it has an innate knack for getting out the toughest stains, but because it is made from ingredients whose equivalent can be found in nature. This carbonated cleaning solution is green and clean, requires less water than typical steam cleaning and works harder than most chemical-based carpet cleaners because it literally explodes the dirt and grime off of the carpet fiber surface. And because The Natural does not contain any soaps, detergents or any other harsh chemicals, so no soapy residues are left behind to attract dirt. With us, carpets not only get cleaner, they stay cleaner longer. And you save money when your carpet stays cleaner longer because fewer cleanings means better value for your carpet cleaning investment. It also brings peace of mind from knowing that you and your family are living in a cleaner, healthier home.